Click here for an order form (Excel format). After completion, send it to our Ways & Means Chairman or ways-means@arizonaclassicthunderbirds.org. 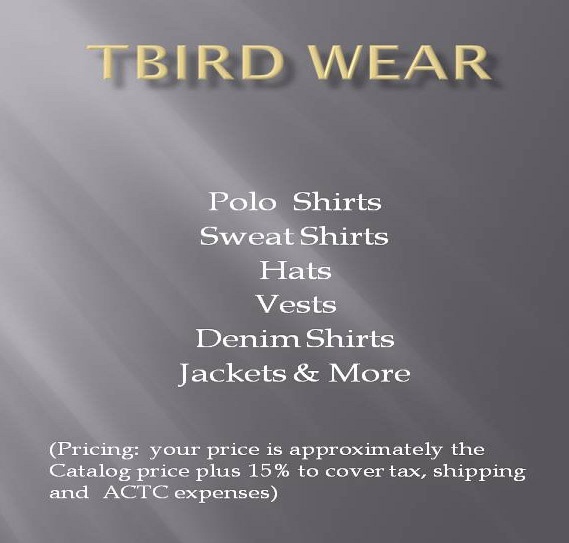 Hey, how about some ACTC shirts! These are really cool and are available in several different styles and/or colors. Men or women. Just click here!